Could the FCC request be related to Amazon's flying warehouse patent? It seems that Amazon is working on another secretive major project. According to documents discovered by Business Insider, the online retail giant has asked the FCC for permission to test experimental wireless technology in two separate locations: Seattle and Kennewick, Washington. 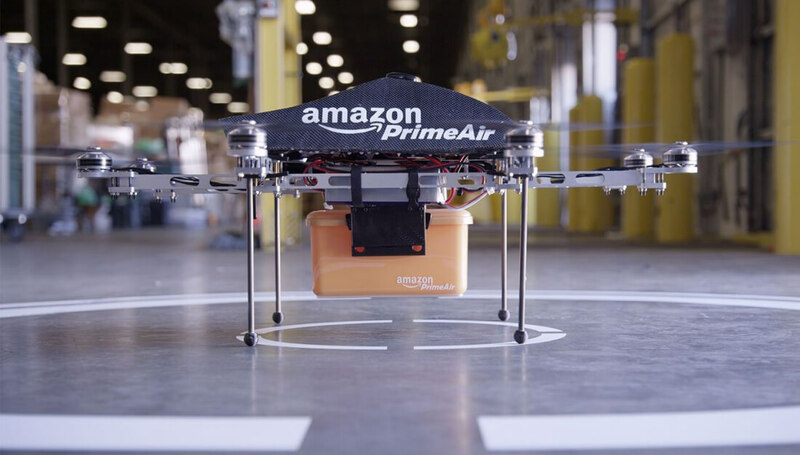 The request was filed on behalf of Amazon by Neil Woodward, the former NASA astronaut who is now a senior manager in charge of flight test, safety, and certification for Amazon Prime Air. It’s suspected that the project could be related to Amazon’s drone program - possibly as a wireless communications system that controls the UAVs. But there’s also a chance it involves Amazon’s wireless devices or some form of data gathering. According to the filing, the tests use "low-power, temporary fixed-base transmitters and associated mobile units indoors at and near its company facilities in Seattle, Washington." Each location would feature three fixed transmitters and ten mobile units, and testing would be limited to Amazon employees. Last summer, Amazon announced that it would partner with the UK government to test drones as a means of delivering parcels. Conducting the experiments in England means avoiding some of the FAA’s stricter regulations on UAVs. Perhaps the upcoming tests could be a part of Amazon’s ambition to get blimp-like flying warehouses into the skies. A patent was discovered last month detailing “airborne fulfillment centers (AFC)” that carry stock and fleets of drones. The AFCs could be sent to areas where Amazon expects a high demand for certain goods, such as sporting events or music festivals.